Blood transfusion (including transfusion of blood products, like plasma) is a critically important service that can mean the difference between life and death for veterinary patients. In our continuing efforts to offer the highest quality medicine to all of our patients, we are pleased to offer blood transfusion services supervised by our expert health care team. Blood transfusions have many uses and can be critical, lifesaving procedures. Blood loss that occurs suddenly due to trauma may require an emergency transfusion to save a patient’s life. However, not all blood transfusion situations are related to injury. 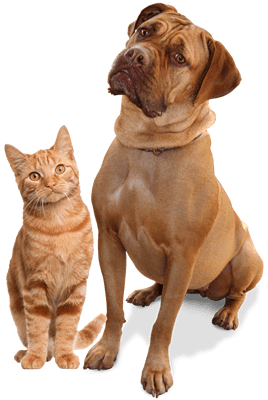 Cancer patients undergoing chemotherapy, surgical patients, pets with advanced kidney or liver disease, cats with feline leukemia, and pets with bleeding or clotting disorders are some examples of other patients that may require transfusion with blood or blood products. Administering a transfusion safely requires a highly skilled and experienced staff. Fortunately, our health care team is experienced in all aspects of transfusion medicine, including safe harvesting of blood from donor animals, crossmatching blood types, selecting the appropriate blood product for a patient, monitoring for complications such as transfusion reactions, and continuing to provide expert critical care to patients during and after transfusion. Our transfusion service allows us to provide blood and blood products for veterinary patients’ medical, surgical, or emergency needs. All blood is carefully screened for safety, handled carefully to help ensure delivery of healthy cells, and administered by experienced professionals. Our staff has been extensively trained and will handle your pet with care and compassion.